Farm Insurance Delta County Texas From An Agency You Can Trust! Country Side Insurance is a leading independent insurance agency in Texas. That means when you are looking for the great rates and coverage for Farm Insurance in Delta County Texas then our agency is the one for you. 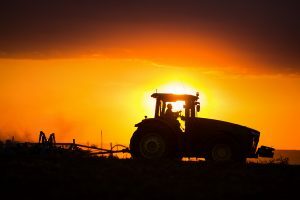 Because we are an independent agency, we have the flexibility to search the insurance market for good pricing at any given time for Delta County Texas Farm Insurance, as well as for Farm Insurance in Hunt County, Grayson County, Denton County, Collin County, Lamar County, Fannin County, and Hopkins County. In our last post, Jen lost two barns to a fire. When the barns were built 15 years ago Jen insured them for their value at that time of $45,000. After the fire she received $42,000 from her insurance company after $3,000 in deductibles were subtracted, but that is not the whole story. Jen quickly discovers that the price of building those same barns today is significantly more than it was 15 years ago. The cost of labor and building materials has gone up, so that $45,000 doesn’t go quite as far as it once did. Furthermore, what Jen failed to take into account is the fact that well-kept outbuildings like barns, shops, grain bins, hay sheds, etc. appreciate in value over time, just like houses do. That is to say, Jen’s barns were worth considerably more money the moment before they burned down than they were when they were newly built. In fact, over that 15 year span the two barns increased in value from $45,000 to an estimated $75,000. That’s an increase of $30,000! The problem is that Jen did not update her coverage over the years. The two barns were still only insured for their original value. So while Jen was fortunate to receive some compensation for the lost structures, she could have received an additional $30,000 if only she would have updated her insurance every now and then to better reflect the true value of her property. What lesson can we take from Jen’s situation? Outbuildings appreciate, so their insurance needs to be kept current with their value. As the price of materials and labor go up, so does the cost of replacing an outbuilding. Barns, shops, grain bins, hay sheds, etc. should always be insured to their full value. Farm Insurance Delta County Texas – Have Questions About Your Insurance? Call Us! If you have questions about your farm insurance or about purchasing farm insurance, we would love to hear from you. Give us a call and we would be happy to assist you. Our numbers again are 888-505-7550 (toll-free) or 903-378-7300 (direct).